The Personal Medical Alert Alarm is a simple, easily to use and accessible device that can make a world of difference in a medical emergency. These emergency alarm devices allow you to contact help in the event of a fall or other emergency. Whether you are a senior looking for extra security, a family member concerned about an older or disabled adult living alone, or a chronically ill individual wishing to give your family some peace of mind, you can benefit from considering a personal emergency response system. Irrespective of the application being a Farmer working in the field, a lone worker in a warehouse, a contractor on site you want to keep track of, or an aged resident having absconded from safe perimeter containment or perhaps a staff member visiting domestic residents at night, this low cost, palm sized personal tracking device will identify the location of that person within approximately 5M. This is achieved by use of a combination of GPS and GSM technologies. The alarm pendant has excellent GPS locating. The Personal Medical Alert Alarm is effectively a mobile phone with inbuilt GPS satellite navigation positioning capabilities. The Personal Medical Alert Alarm operates by SIM card (not included). The SIM card with its identifiable phone number will send an SMS to up to 5 emergency contacts in the event that the SOS button is pressed. LOCATION FINDING – If you’re caring for a person that may wander, trying to locate a contractor onsite or even track a lone worker- simply text ‘Loc’ (for locate) anytime and the Personal Medical Alert Alarm Pendant will respond by returning an SMS with the user’s location. This SMS will contain the Google Maps link, simply tapping the link will display the location of the wanderer on Google Maps. 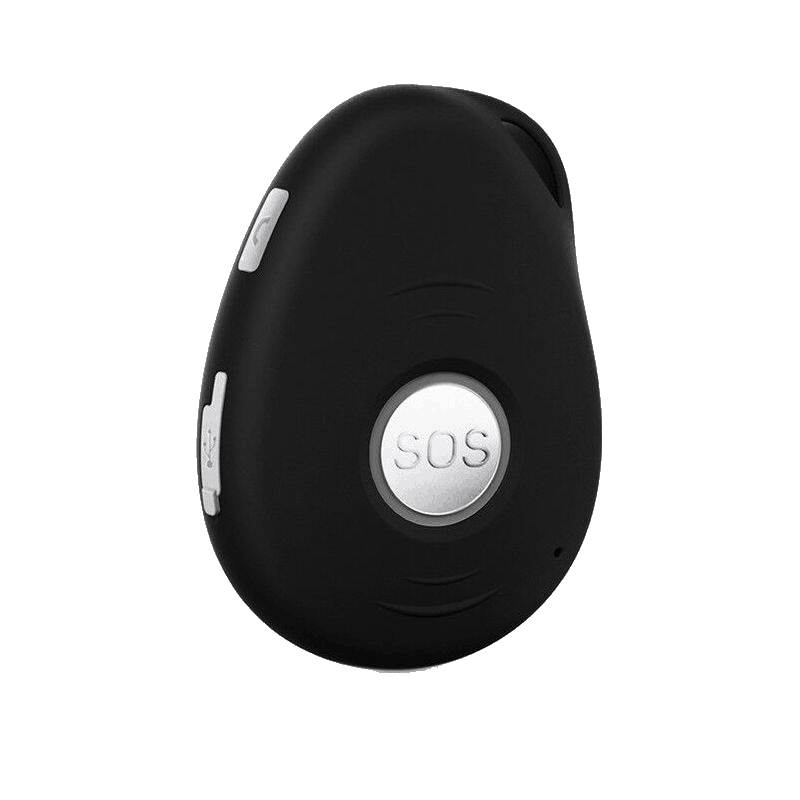 RECEIVING AND MAKING A NORMAL PHONE CALL – Call into the Personal Medical Alert Alarm Pendant anytime and the incoming call can be answered by the user pressing the SOS button momentarily. Press and hold the discreet side call button to make a normal phone call to the first emergency contact.